For a game about game consoles transformed into hot women, Hyperdimension Neptunia wasn't very good. That's why there are sequels! Compile Heart, the studio behind the first game, is back with another Neptunia title. This time the game won't focus on female personifications of home game consoles, but rather, female personifications of portable game consoles. The game features a new battle system and new characters: the "purple sister" is Nepgear, the "black sister" is called Uni and the "white sisters" are dubbed Rom and Ram. In the game, there is also a real time Twitter parody as everybody in the game world is so into tweeting. According to images running in Japanese game magazines, there are images of avatars for the Twitter parody that look like Mario, the Sony cat Toro and former Sega mascot Segata Sanshiro. This time, the game machines aren't transformed into women, but, what appears to be young girls. Perhaps the rationale is that portables are newer than home consoles. That's the rationale, at least. 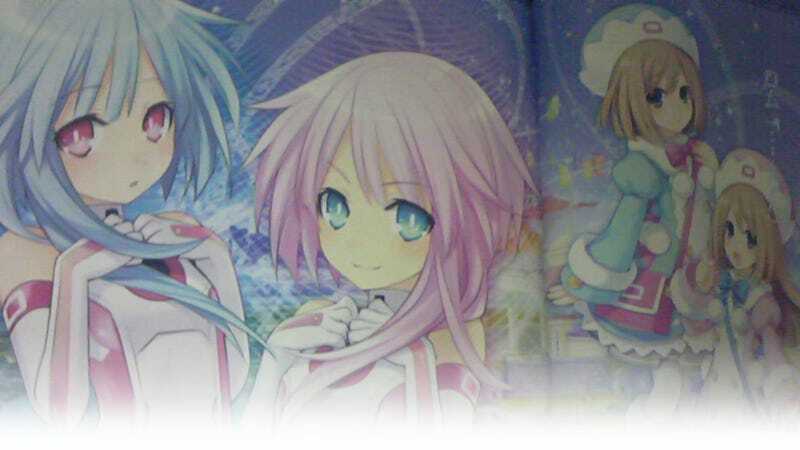 Hyperdimension Neptunia mk2 will be out this August in Japan on the PS3.